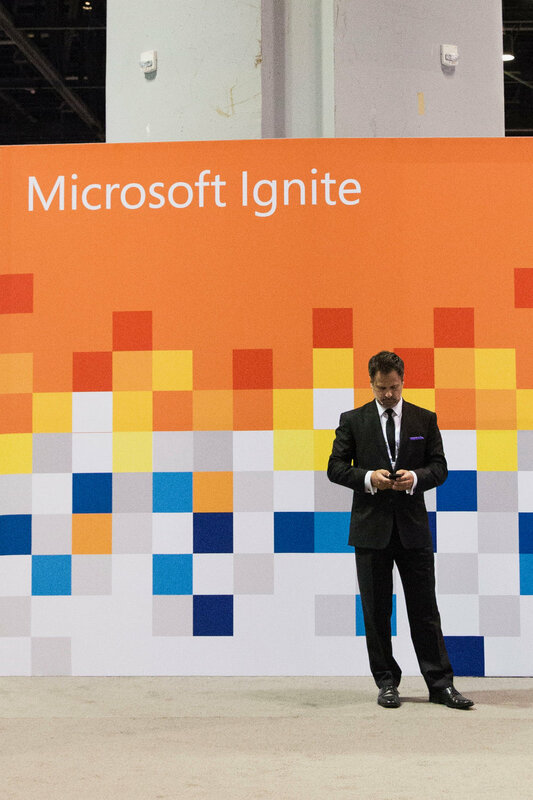 We're back with Check Point for Microsoft Ignite, from September 25th - 28th. The conference and trade show attracted 30,000 attendees over the course of four days at the Orlando Convention Center, in Orlando, FL. This was our fourth time working with Check Point to stop traffic and build crowds at their booth. Our presentation included visual and amazing magic and mind reading, as well as custom-scripting that included information on Check Point's vSEC Cloud Security solution for Microsoft Azure and Azure Stack environments. Once the crowd reached maximum capacity, we turned them over to the selected expert for a brief in-booth presentation on specific ways Check Point seamlessly integrates with Microsoft. Then we came back to wrap up the session with more entertainment, messaging, and a raffle. Introducing Don Meyer, (center) Head of Marketing, Cloud Security for Check Point, one of the experts offering in-booth sessions..
We're back in Las Vegas (our second time this month!) stopping traffic and building huge crowds for Bitdefender at VMWorld 2016 at Mandalay Bay. Bitdefender originally hired us in April for RSA at the Moscone Center, in San Francisco. They liked the results so much they invited us back to VMWorld in Las Vegas. This time they opted for a theatrical-style setting, performing one show every hour. And the crowds were HUGE! Will you be exhibiting at a trade show this year? Want to build huge crowds and get your message across? Learn more about our Interactive Tradeshow Marketing Program. Highlights from my most memorable moments in 2013. Thanks for a great year and see you in 2014!